Everybody knows the value of pi is 3.14…er, something, but how many people know where the ratio came from? Actually, the ratio came from nature—it’s the ratio between the circumference of a circle and its diameter, and it was always there, just waiting to be discovered. But who discovered it? 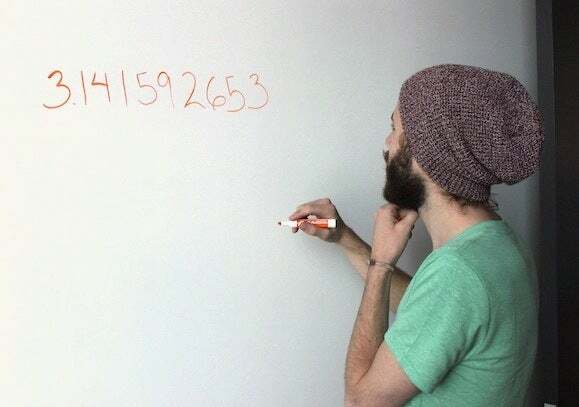 In honor of Pi Day, here’s a semi-brief history of how pi came to be known as 3.14(1592653589793238462643383279502884197169…and so on). It's hard to pinpoint who, exactly, first became conscious of the constant ratio between the circumference of a circle and its diameter, though human civilizations seem to have been aware of it as early as 2550 BC. The Great Pyramid at Giza, which was built between 2550 and 2500 BC, has a perimeter of 1760 cubits and a height of 280 cubits, which gives it a ratio of 1760/280, or approximately 2 times pi. (One cubit is about 18 inches, though it was measured by a person's forearm length and thus varied from one person to another.) Egyptologists believe these proportions were chosen for symbolic reasons, but, of course, we can never be too sure. The Ancient Greek mathematician Archimedes of Syracuse (287-212 BC) is largely considered to be the first to calculate an accurate estimation of the value of pi. He accomplished this by finding the areas of two polygons: the polygon that was inscribed inside a circle, and the polygon in which a circle was circumscribed (see figure above, right). Archimedes didn't calculate the exact value of pi, but rather came up with a very close approximation—he used 96-sided polygons to come up with a value that fell between 3.1408 and 3.14285. In the 15th century, Indian mathematician Madhavan of Sangamagramam discovered what is now known as the Madhava-Leibniz series (named after German mathematician Gottfried Leibniz, who rediscovered the series in the 17th century), an infinite series that converges to four. Madhavan subsequently calculated pi to 11 decimal places. Later, in 1707, Welsh mathematician William Jones was the first to use the Greek letter pi (π) to denote the constant ratio, though it wasn't until 1737 that Swiss mathematician and physicist Leonhard Euler popularized the use of the symbol. 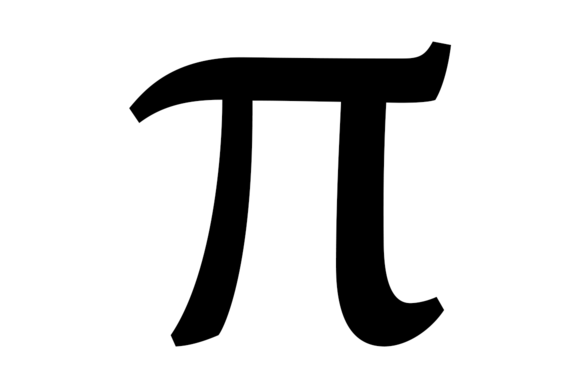 The π symbol was taken from the Greek word for "perimeter." Shigeru Kondo carried out the longest calculation of pi to date on October 19, 2011. Of course, then computers entered the picture and calculating pi knew no bounds—beginning with D. F. Ferguson's calculation of pi to 710 digits in 1947 with a desk calculator to Takahashi Kanada's calculation of pi to 206,158,430,000 digits in 1999 with a Hitachi SR8000. Shigeru Kondo carried out the longest calculation of pi to date on October 19, 2011. Kondo used Alexander Yee’s y-cruncher program to calculate pi to 10 trillion digits, which is a record calculation for both supercomputers and home computers. So there you have it—Egyptians calculated pi using pyramids (or did they calculate pyramids using pi? ), Archimedes busted out the 96-gon, Zhu Chongzhi one-upped him with a 12,288-gon (or is that 12,192-upped him? ), Ferguson calculated 620 digits by hand, and Kondo used a supercomputer to nab the current world record of 10 trillion digits. But wait—the obsession with pi isn’t just limited to mathematicians and scientists. 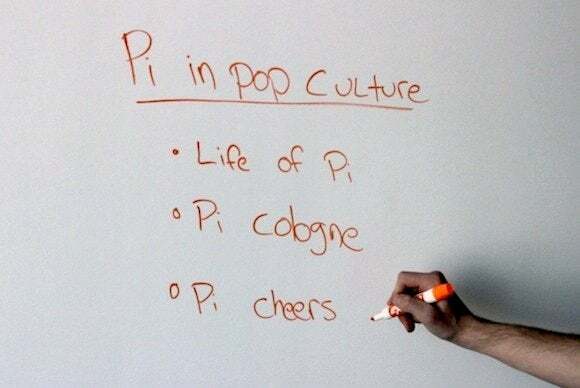 Pi has a special place in popular culture, thanks to its prevalence in mathematical formulae and its mysterious nature. Even completely non-cerebral shows, books, and movies can’t help but mention the popular constant. For example, pi gets mentioned in a scene from Twilight, in which vampire-boy Robert Pattinson recites the square root of pi (and on-the-ball Kristin Stewart quickly shuts him down). 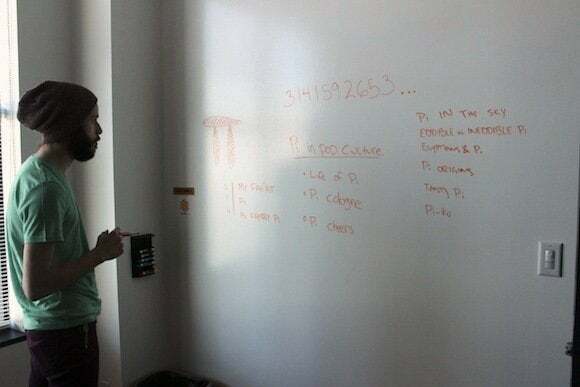 Albert the Intern contemplates pi. The main character in the award-winning novel (and 2012 film) Life of Pi nicknames himself after the constant. Givenchy’s PI cologne for men is advertised as a scent that "embodies the confidence of genius." Several other movies reference pi, including the 1966 Alfred Hitchcock film Torn Curtain, the 1995 Sandra Bullock thriller The Net, 1998 indie thriller Pi. Finally, pi is perhaps most rampant in pop culture on March 14—Pi Day! On Pi Day, nerds, geeks, and mildly interested geometry students alike come together and wear pi-themed clothing, read pi-themed books, and watch pi-themed movies, all while eating pi-themed pie. Just think of how excited everyone will get two years from now, when Pi Day falls on 3/14/15. Correction, March 14, 2013: An earlier version of this story mistakenly stated that Archimedes' estimate for pi was 3.1485. His actual estimate calculated pi to be between 3.1408 and 3.14285. (If you average these two figures, you get an in-between point of 3.141851.) We regret the error. Article originally published March 13, 2010; updated March 13, 2013.